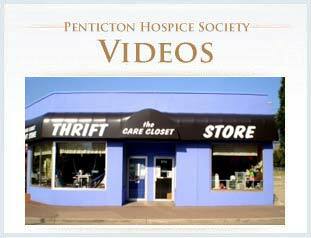 What People Say | Moog & Friends Hospice House – Penticton Hospice. 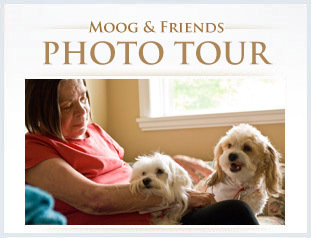 My wife, Mary, is in the Moog Hospice House and wants to share her experience with readers so that those of you who may face a need for palliative care can do so knowing that we are so lucky to have resources that make the journey as comfortable and pleasant as it possible can be. Like us you may have driven past the Hospice House on Government and thought that it looks a nice place but one that you never imagine you may be in need of. Now that we are in its need we have recognized how fortunate we are in the South Okanagan that we have it and the allied palliative cares services available to us. Our family and friends in Alberta are truly astounded at the difference between what we have and what is available to them. The staff at Moog are dedicated to caring for patients in the most considerate and compassionate way, offering exemplary professional care balanced with compassion and humour. A person might think that caring for the dying might provide little satisfaction knowing that one cannot provide a cure. However, the opposite appears true: the immediate feedback from patients when the pain is controlled and knowing that they make the period at the end of life as pleasant as possible must be truly gratifying for them. One nurse told me that “this is a job I treasure every day and I am so thankful for the opportunity” and it shows in the way they deliver care. Daily, teams of dedicated volunteers help with a variety of tasks including musical interludes with piano and harp music. Each week a team of trained volunteers provide relaxing and comforting massages which are a highlight of my wife’s week. Many other volunteers, coordinated by Hospice staff provide a wide range of services. Other professional services include social workers who provide advice and support for clients as well as caregivers too. The facilities at the Hospice House are perfect with privacy when needed and comfortable well-appointed public areas. One is able to make one’s room a home from home and entertain visitors as a person does at home. The landscaping outside is outstanding and we often enjoy a visit or a meal outside near the fountains with the birds feeding their chicks and with the butterflies and bees flying around the trees, flowers and plants. In addition to the Hospice House, there is a range of palliative care services that we never imagined existed. 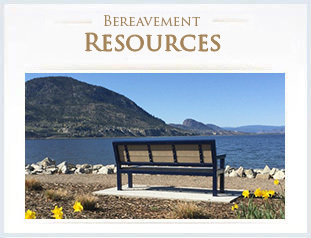 Luckily we were told about The Bereavement Centre in Penticton. We both attended separate workshops for the dying and the caregiver that prepared us for what was ahead and which has proven to be very beneficial. We live in Summerland and while Mary was being cared for at home the local support of the Home Care nurses was wonderful. We also received professional help and advice from therapists in the use of equipment. Thankfully the local Red Cross, manned by volunteers, provides a wide range of equipment avoiding the need for expensive purchases for only limited time usage. So if and when you face the dreadful news that your illness has become so serious that you are “palliative” please know that it can be a wonderful memorable experience and nothing to be feared. Then you too soon will realise what wonderful support there is in this paradise we live in.